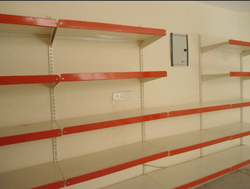 We are a leading Manufacturer of storage pallets, storage pallet and supermarket wall mounted rack from New Delhi, India. Size (length x Width) As per request. Our organization holds expertise in offering a wide range of premium quality Storage Pallets to our esteemed customers. 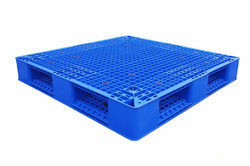 These material handling storage aid systems are widely used for storing heavy industrial materials on skids.Storage Pallets are one of the most exclusive quality products of our company which are widely being used for industrial purposes of storing and keeping goods and materials in a very safe, reliable and efficient manner. 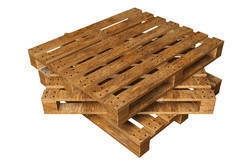 We are leading manufacturer and supplier of Storage Pallet. 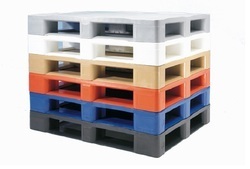 Our offered storage pallets are manufactured using premium quality materials and are extremely sturdy.We have earned an excellent reputation in the market for manufacturing, trading and supplying a unique and ultra modern collection of Industrial Pallet. We are the well known Storage Pallets Manufacturers in Delhi . Looking for Storage Pallets ?